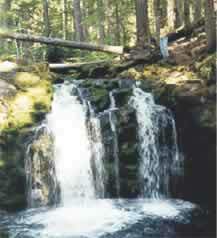 Located adjacent to the Whitehorse Falls Campground, this waterfall tumbles 15 feet into a punchbowl, providing a relaxing setting for a picnic. A viewing platform is located at the parking area. 15-30 minutes.